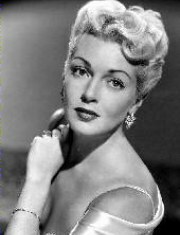 A favorite of mine that begins with T is Turner, Lana better known as Lana Turner, my favorite actress. I love her. Lana Turner was independent and confident and portrayed these characteristics in her movie roles as well. It seemed in every movie she was single and making it on her own, and that was in the 1940s and 1950s. My favorite Lana Turner movies are Imitation of Life, A Life of Her Own, The Bad and the Beautiful and Peyton Place. I’ve probably only seen about half of Lana Turner’s movies. They are hard to find and rarely on TCM, except for the obvious ones. I have read both her autobiography and her daughter’s and any other biographies I can find. So if you have any questions about Lana, just ask.